A diet that cuts out all refined carbohydrates is without a doubt the best diet to lose weight fast, and also to keep it off for good. Reducing your refined carbohydrate load is one of the most effective ways I know to reduce body fat percentage – and I’m talking belly fat specifically, which is the most dangerous and disease causing kind. But, unfortunately for the sweet toothed among us, this type of fat around the middle is usually the type of fat laid down more readily when you over consume these sugary treats. When it comes to weight loss there are no ends of different diets out there all promising you the world and usually not delivering. Or only delivering in the short term, which is obviously not ideal, especially as the ultimate aim is to be slim for life. Cut out Sugar and you will Literally GLOW! When I first did a two week sugar detox I was struck by how quickly my skin responded; I seriously looked the best I could ever remember looking, not that I’m gloating. But seriously, in cutting out refined white sugars and all refined carbohydrates in general you will lose your sugar cravings very quickly (surprisingly, way more quickly than you may think) which means initially fast weight loss. In fact, you should not only lose excess flab, but your skin will literally glow too as too many refined carbs and sugars will not only make your skin listless and dull, but will also sap you of your energy and enthusiasm for life. The fastest way to get this back is to not only cut out sugar, but get lots of antioxidant rich foods into your diet in the form of fruits and veggies. Upping your consumption of plant foods will leave you less space to fill up on junk; plus your body will feel more satisfied as it will be getting lots of nutrients, in turn banishing those food cravings. Yes, this is very doable WITHOUT having to go hungry as nobody wants to feel like they are starving themselves, OR missing out. It makes you miserable and saps you of your energy, and we all know how horrible it is to feel hangry (an urban dictionary word, explaining a mixture of hunger that triggers anger; or feeling short tempered due to lack of food and your blood sugar dropping too low). So, without further ado let’s dive straight in and I will show you what needs to be done in order for you to not only feel good about yourself, but also be the best version of you that you can be. Yes, food can honesty be that powerful! Don’t Fall into the Yoyo Dieting Trap! And so begins that pattern commonly known in the diet world as yoyo dieting, which eventually mess up your metabolism (I’ve been there); and that is something that you definitely don’t want to do as you will start to find it impossible to lose weight no matter how hard you try. 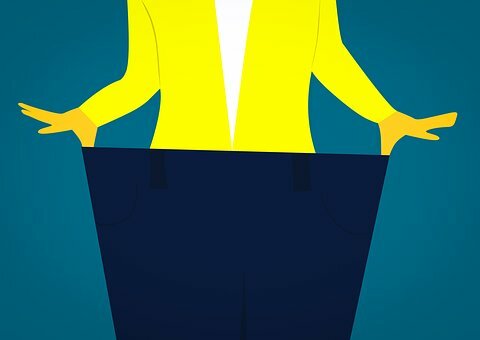 This problem could make you gain weight and trigger your health to spiral downwards, eventually leading to all manner of weight related problems such as obesity, metabolic syndrome, adrenal burn out, type 2 diabetes, heart disease, and even cancer. So, to get you on the right track you should keep things as simple as possible; and more importantly don’t think of these changes as a ‘diet’ as such, rather a change of your conditioned habits around food for life. You needn’t say adios forever to all the treats you love as this is a negative and depressing thought and will mean surefire failure. I like to stick to the 90/10 rule, which means eating healthily 90% of the time and leaving 10% for those treats that give your life meaning (phew)… my personal meaning is dark chocolate. The aim here is to eat a highly plant based diet to ensure you take in LOTS of antioxidants. Eating lots of antioxidant rich foods like those on the list below, will not only help to keep your body detoxifying (which in itself will help to melt excess fat), but may in the long term help to slow down the aging process of your entire body on both the inside and out. 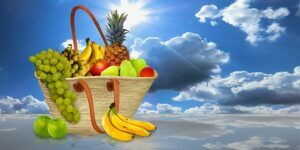 FRUITS – of all kinds, but go easy on the high sugar tropical fruits such as pineapple, mango, papaya, and over ripe bananas. Also, grapes are high in sugar too, though they are not classed as a tropical fruit. VEGETABLES – Eat a rainbow of colours, such as dark green leafy things of all kinds, salad, beetroot, bell peppers, carrots, sweet potatoes, and squashes. Try to eat something from all the colour groups every day as it is the colour pigment that gives a food its antioxidants. PULSES – such as lentils, chickpeas, cannellini beans, borlotti beans, butter beans, and pinto beans. TIP: They are so much easier to use straight out of the can and added straight into soups, stews, and chilis. WHOLEGRAINS – such as quinoa, spelt, barley, oats, oatmeal, millet, amaranth, buckwheat, brown rice, wholewheat pasta, and wholemeal sourdough bread. GOOD QUALITY PROTEIN – It’s good to get the bulk of your protein from plant foods wherever possible. Viable sources of high quality plant protein comes from quinoa, buckwheat, green peas, all pulses and beans, nuts, seeds, plant based protein powders, (sugar free peanut butter is a life saver for me as it’s high in protein, full of healthy fats, and is so versatile and easy to add to any snack or smoothie). Make sure you go easy on nuts and seeds as they are very high in fat; and if you eat animal products as your source of protein then go for the best quality (ideally organic) that you can afford and eat it in smaller amounts. You will definitely notice the difference if you do this one thing in itself. HEALTHY FATS – in moderation of course. These include good quality virgin organic coconut oil, avocados and avocado oil, extra virgin olive oil, flax oil, sesame oil, and grape seed oil. NUTS AND SEEDS – Not only a source of protein, but full of healthy fats, nutrients, and antioxidants; plus they make an easily transportable on the go snack. SUGAR – Refined sugars are hidden in many foods, especially fast foods and other junk foods. You should also remove all confectionery, sweets, and chocolate (have some dark chocolate if you get a craving as it works just as well). REFINED CARBOHYDRATES – such as pastries, white bread, white rice, white pasta, and white flours in general that come in the form of donuts, cakes, biscuits, and cookies. FIZZY DRINKS – These are the kiss of death to any diet as they are just basically sugar water with literally zero fiber or nutrients. Ditch these for good if you want to stay slim for life. Even the “diet” and “low sugar” versions are very bad for you as they are full of synthetic sugars and chemicals – so not good when you want to keep your body detoxified. Swap them for sparkling water with a little squash added; or watered down fruit juices, herbal teas, and some of these great metabolism boosting drinks. UNHEALTHY FATS – These are the kind that come in junk foods, deep-fried foods, crisps, chocolate, cakes, and all of those other naughty things you know you shouldn’t have if you wish to stay in tip top health. Oh yes, the list is endless when it comes to foods that contain unhealthy fats, but if you steer clear of junk foods in general then you won’t need to worry about this. Don’t Forget to GET MOVING! It’s not rocket science, as even the best weight loss diet won’t give you the greatest results possible without a good exercise plan in place. No matter how you choose to do it just make sure you get moving every day in some shape or form. It’s easy to power walk to the shops or work, join a gym, or simply follow one of the millions of exercise videos on Youtube in the comfort of your own home. I can’t stress enough how important it is to have muscle tone on your body, not just for a myriad of health reasons, but also to help keep your metabolism high and your body in FAT BURNING MODE . Now there’s three little words that we just love to hear! Muscle mass will help you to burn more calories per day than fat, so will help keep you slim even when you’re not exercising – how awesome is that? The best way to build muscle is through strength training which includes sports such as gym, HITT, boxing, kettlebells, and other resistance exercises. Three sessions a week will be enough to stop you build muscle and burn fat instead. Here is an example of one of the many videos available on Youtube that can be done in the comfort of your own home, and they are virtually cost free apart from the initial lay out for any equipment that you may need. This allows you to work at your own pace at a time that suits you. I’m not a fan of most diet supplements or pills, for the simple fact that most of them are either a scam or a complete waste of your hard earned money. And I’m especially not a fan of anything unnatural, synthetic, or down right dangerous which can be another issue with certain diet pills. I’ve tried them in the past and have had bad experiences with certain types. 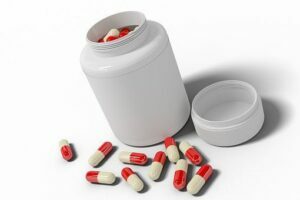 Having said that, there are some very natural types of diet supplements on the market that do actually work to help enhance weight loss alongside a healthy diet. Don’t expect miracles, but you should see a difference in how much faster you can lose excess weight as long as you use them correctly. If you would like to find out more about this then please read my list of the best natural diet supplements and see if they are suitable for you before you buy (this is very important). I have researched and found only the scientifically proven brands that have good customer reviews, but you should always read labels thoroughly yourself to make sure they are suitable for you specifically. Start today for a Slimmer, Healthier and Happier future! If you start today with the simple changes on this list, then you can expect to see results pretty quickly. My hope is that when you start your healthier diet and lifestyle you will feel so good that you’ll never want go back, and then you will never have to worry about your weight and health again. Take it from me, healthy eating can set you free to thoroughly enjoy your life like you where born to, which is all any of us really want in the end right? I am happy to answer any comments or questions, so feel free to post away below this thread. I would also love to hear your own health or diet tips that I may not have mentioned already. Thank you for reading! Hey Stephanie, Great article! It’s always hard to lose weight if you’re on a diet. I found it’s a lifestyle change that finally does it. Eating healthy foods, exercising, and getting a good night’s sleep is the key. I got rid of all the unhealthy food choices and really started a change. I do take supplements but not for losing weight. It takes a bit of getting used to but it’s the only way to lose weight and get on the healthy track. Hi Rob, I totally agree with you, in fact sleep is a major key in keeping you slim and also for keeping the body in a state of homeostatis to prevent us from getting sick in the first place! I finally cut out sugar about two weeks ago. I felt my memory was getting worse. I am loving the results. It was a bit hard for the first couple of days, and now I’m watching everything I eat. This is such good advice that if anyone did anything, cutting sugar would make so many people feel better. Keep it up! And I’m losing weight finally!!!! Hi JB, that’s really great you have cut out sugar and are losing weight. It’s really hard I know as I’ve done it myself, but the results are so worth it. Brain fog is definitely the result of too much sugar and inflammation along with many other nasty symptoms, so it really is worth the effort. Hey, very impressed with your website it looks great and the content is plentiful. And I couldn’t agree with you more about more natural more better! Hi there Doc, thanks a lot, I really appreciate the compliment about my website. Sometimes things like that make it all worth it for me. And yes, I always advocate the natural approach to weight loss or any kind of eating plan for that matter as it allows you to make changes you can stick with. Thank you I really needed to hear that. I have a real challenge with sugar and know that cutting it out will make a really big difference not only to my weight but my life in general. So it is good to get reminders like this. Hi Jennifer, I understand how you feel. Sugar is just SO addictive it’s crazy. I still struggle with it myself, especially at certain times of the month if you know what I mean lol. But sugar is the thing that really hinders our weight loss efforts, in fact I believe it’s the worst thing as it promotes belly fat, which is something we need to avoid as much as possible as it ups our chances of type 2 diabetes and other diseases. Not only that, but cutting out sugar makes you feel good; it really gives you a mental boost, focus, and more energy, so it’s worth the pain. Awesome article !! There is so much out there when it comes to health and weight loss. You gave some really great ideas for what things to cut out and things to add into your diet. I’m on a weight loss journey myself due to a disease process, but I can definitely apply some of your suggestions to my plan. Hi Nikki, thanks so much! And I am so glad you have picked up some useful tips from my post. I really hope that applying them helps your weight loss and indeed your disease. I would love to know how you get on and if it helps. Great advice Stefanie! I really like the kettle ball workout video. I go on a cruise in a week, and I am going do this for a week on top of my diet. Any additional weight lost will be great! Thanks for the great information.